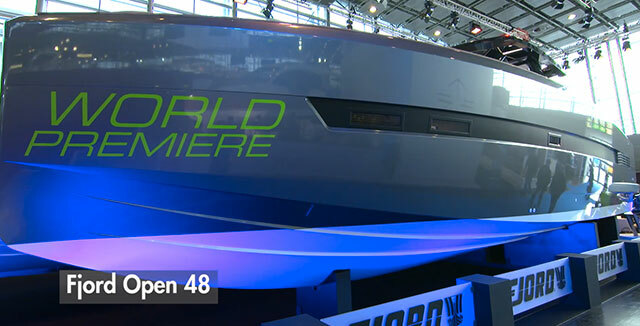 Alex Smith gets an up-close look at the White Shark 228 on display at Southampton Boat Show. 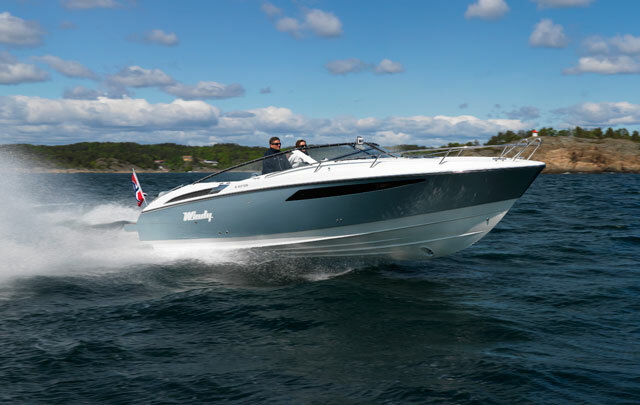 White Shark is a French builder fond of the sports-fisher style of centre console/walkaround powerboat with plenty of design features – bow flare, deep forefoot and fine entry – to keep passengers dry when travelling at speed in choppy conditions. 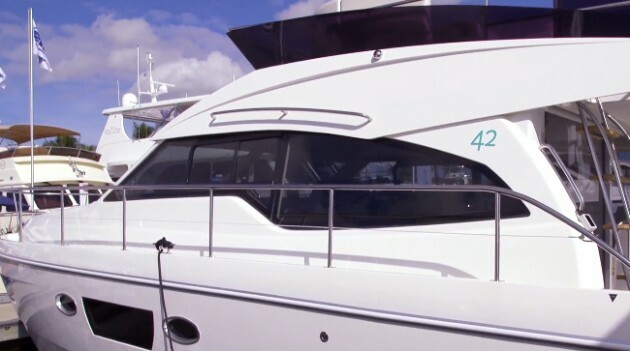 The White Shark 228 is the smallest of four models in the Sun Deck range and was on display at this year's Southampton Boat Show. 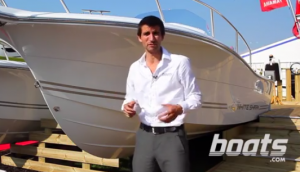 Take a look for yourself with boats.com reviewer Alex Smith by clicking on the video image below. According to the brand new UK website: www.whiteshark-boats.co.uk the 228 is a spacious 23ft family weekender with cuddy cabin. The cabin sleeps two and also features a freshwater sink, stove and fridge plus space for chemical WC. 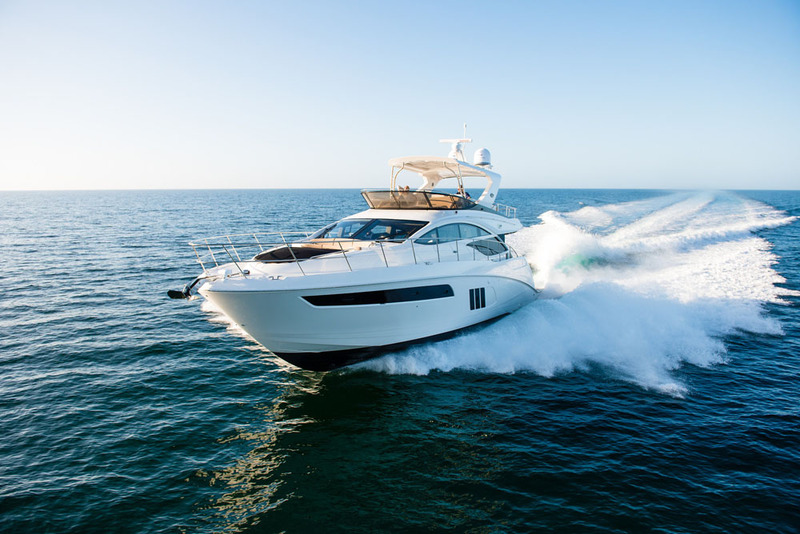 Imported by Fine Design Marine in Poole, the White Shark 228 fits in comfortably with the company's other brands, which include Beneteau Flyer 6 models, the Oceanmaster 630 and boats by Scandica and Clear powerboats of Milan. 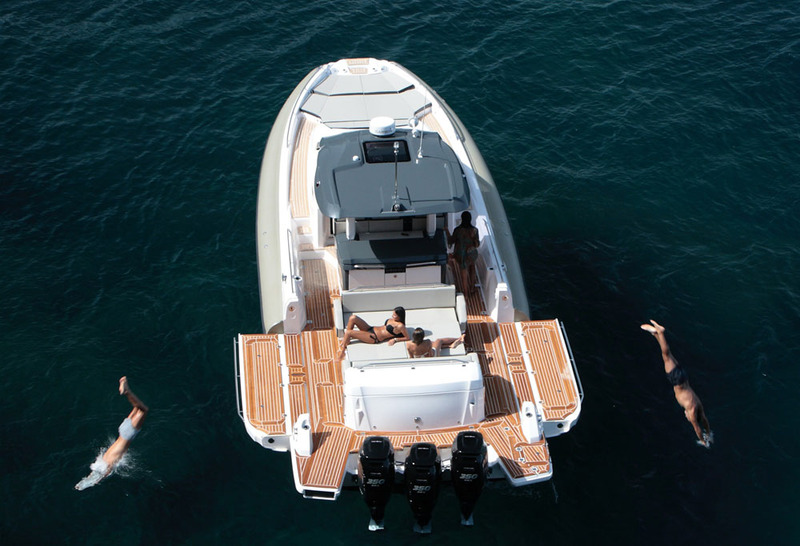 Up top aboard the White Shark 228, the deep cockpit offers comfortable seating for four plus optional extras including a picnic table, bimini shade and full fishing pack. 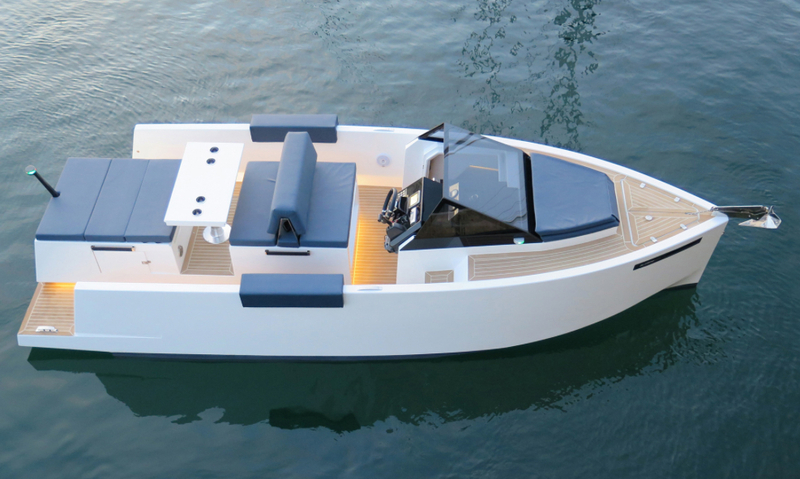 Forward of the steering console is the sundeck, which is accessed from walk-around steps and enclosed with high bow rails. 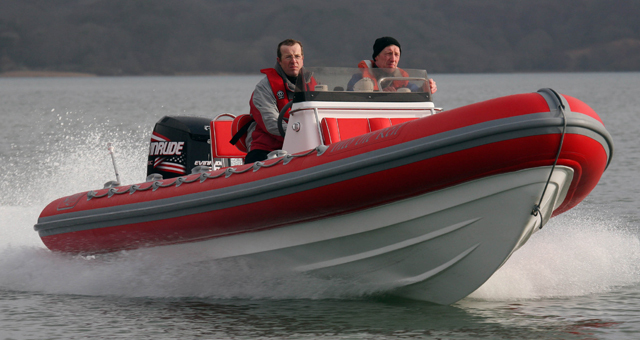 See all White Shark powerboats for sale in the UK on www.boats.com.